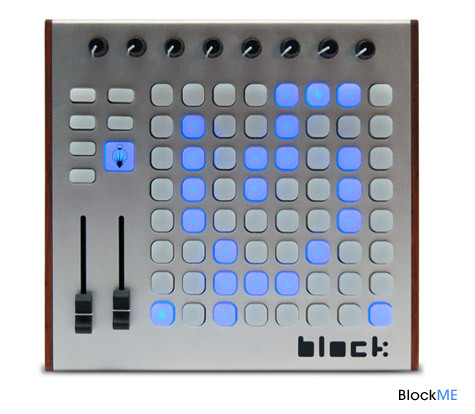 ThatÂ´s a mock up of a 16x16blm with the livid buttons. It has 38x38cm. has anyone considered a 8X16 grid? Having to page over 8 steps for a 16 step seq sounds a little tedious but having to page up and down doesn't sound too bad.. In some modes MBSEQ rotates the screen by 90Â°, e.g. when velocity/length/probability/... or mixer parameters are edited. Therefore 16x16 (+ the extra buttons of course) is a must, supporting reduced BLM16x16+X layouts would result into a nightmare at my side! Can anyone confirm whether the duo-colour LEDs will fit inside the Livid button pads? The body of a 3mm LED will obviously fit, it's the legs that may be trouble. This can be decided layout-driven (there are multiple possibilities) - for extra buttons it's only important that each button/LED combination is individually accessible in the matrix. Thanks, I'll have a crack at it. Also, what is the max allowed length of connections between BLM_Scalar modules, and between J3,J4 of Scalar module and J3,J4 of BLM? Looks like SMD LED will fit - here's a screenshot of a comparison between a few different layouts/button options on a 19mmx19mm spacing grid. The rectangle inside the Livid pad footprint on the left is the dimensions of an SMD LED. Connections between the BLM_SCALAR modules (especially SCLK and RCLK) should be as short as possible! Try your best! Optimize it to the minimum cable length! Too long clock lines will result into flickering LEDs and unstable button states. 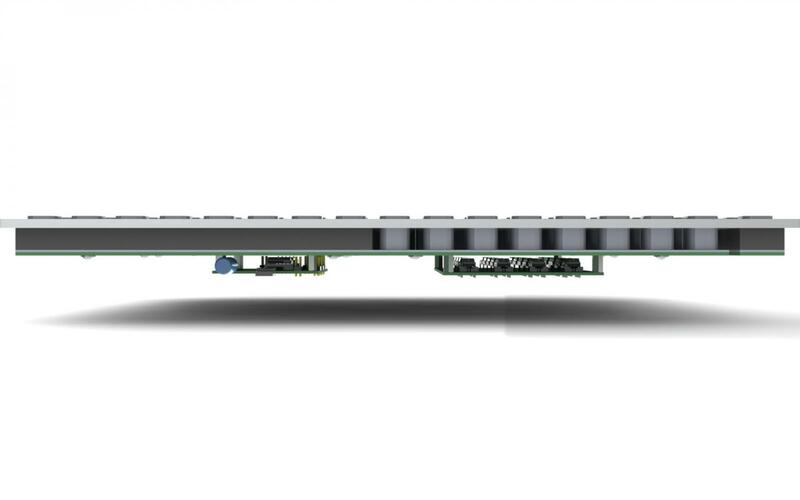 The prototype will show the robustness in reality. Take the cable lengths of my prototype as example - it still works very stable. The cable/track length between BLM_SCALAR and LEDs/Buttons doesn't really matter. Wouldn't it be better if the pad contacts were circular like the SparkFun ones? Surely there would be enough room for a 3mm bicolor LED. The Livid ones are my current favourite. then chop off the extra buttons on three of the boards, join together to extend it up to 16x16. Maybe each board has mounts along all four edges, so after chopping, you'd still have mount points for the top/right edges of the joined PCBs. It might need a bit of extra wiring here and there to make it work, and something like the "stitching" method on my SEQ CS PCB proto. Dont their boards already have provisions for either smd or through hole? Or am I missing something. Not sure why the contacts are square for their smaller buttons, if you look at the DXF of the contact for the larger button, it is round like the sparkfun part but the PCB they sell is square like the "small" buttons. The eagle library has both also. AFAIK, we're only looking at using 3-legged bicolor LEDs for this project. You can see in the last picture I posted, the livid pad footprint on the right has in the center the footprint for the 3mm LED with 3 legs â€“ it doesnâ€™t fit. I think the circular modules in the livid library are for the contacts on the buttons, not the PCB. Does anyone own the livid buttons to confirm? I have them hopefully soon. I think we have to do our own PCB construction in any case, no matter which box layout we choose. The PCB they offer is a breakout design where every button must be wired seperately. Not exactly what we looking for i guess. Anyway they are expensive. Iâ€™m nearly finished the 8x8 schematic. I suppose it would be possible to use Lividâ€™s PCBs, but a lot of extra wiring would be necessary â€“ certainly not worth the expense or effort. I will be designing a PCB that suits my own use regardless, but I hope to make it useful for others as well. Iâ€™ll ask Livid if I can buy a cheap sample of the buttons â€“ the default shipping option is way too expensive. Are people happy to use SMD LEDs if thatâ€™s whatâ€™s necessary to use the Livid buttons? Iâ€™ve never done SMD before, but I think the LEDs Iâ€™m looking at shouldnâ€™t be too difficult. If Iâ€™m not happy with the Livid button option, I think Iâ€™ll use 6mm tacts (probably Panasonic Light Touch Switches) and 3mm LEDs. -	possible to use silicon sheet + DIY button caps for illuminated buttons. Itâ€™s not the contact on the PCB Iâ€™m concerned about, itâ€™s the hole in the button. The â€˜inner circleâ€™ (which I assume corresponds to the size of the hole in the button) is the same in both the rectangular footprint and the circular footprint (both of which are in the livid.lbr.zip). TK said a little while back that SMD LEDs would be useful in the BLM. The matrix/PC tracks would be a little easier to route. 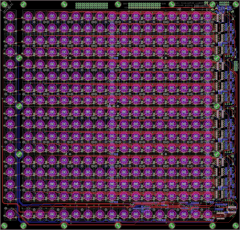 Probably looking a multi-layered board or many, many vias for through-hole LEDs. So, what are we talking for Livid spacers and conductive rubber sheet? Plus panel and PCB. Plus LEDs etc. hmm, the three that are in the library look like different sizes.. It's only 8$ to ship it domestically so I'll order one..
OK, that certainly looks different to the one Iâ€™ve got. 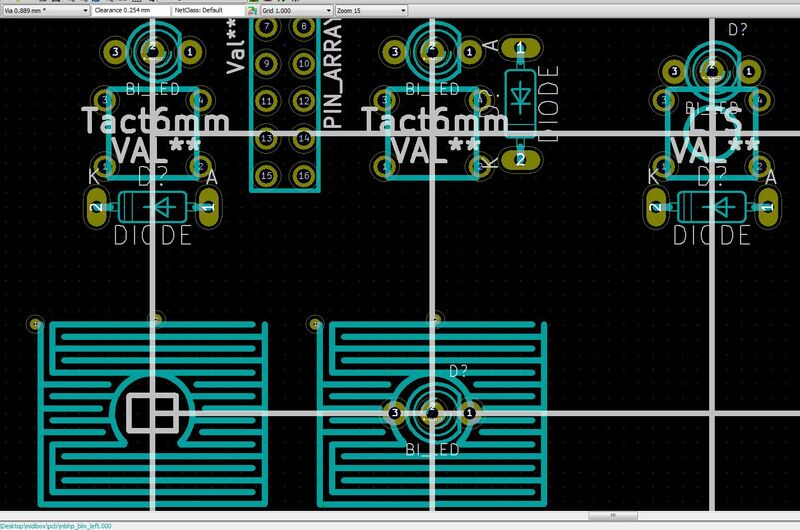 I just tried it in Eagle Light instead of Kicad and I see what you got. There must be something going wrong with my conversion from Eagle library to Kicad for the round ones. Iâ€™ve sent Livid an email asking whether theyâ€™ll fit. 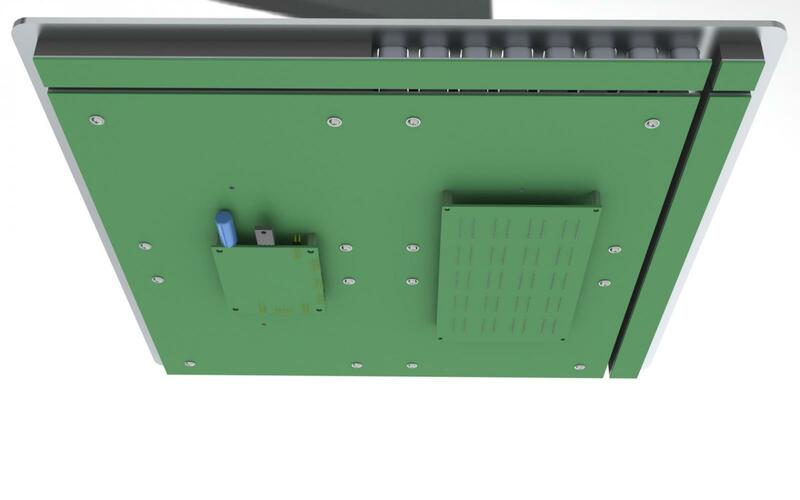 Schematic done, except for labelling each component, and adding connector between the right and left sections of the extra row. Iâ€™ll leave those things until I get the green light. Iâ€™ve attached the Kicad schematic file, a SVG export and screenshots â€“ Inkscape crashes when I try to export to a more friendly format. Everywhere else in the Livid documentation, it's defined as 0.8125"
I'm going to do a layout just for fun... matrix layouts are pretty easy and lots of copypasta anyway. After layout of the button contact footprints, using a rough sketch of a circular contact, there seems to be enough room to route it all with two layers, it's a little bit easier since there's not so many through-hole pads getting in the way of the bottom layer tracks. The only thing I'm worried about now is whether the wider spacing of the bicolor LEDs would mean the outer pads might make contact with the conductive rubber of the button. Does that dotted ring area around the LED represent the inner hole and the conductive rubber is outside that? If so, maybe even 5mm LEDs would fit in the hole. mounted capacitor and voltage regulator. The CS PCBs are just out of my imagination. Those are 8x8 modules (they perfectly align, therefore there is no gap visible in the rendering), 8x1 strips and a 1x1 piece atm. Pcbs are mounted onto the frontpanel (assuming 4mm Schaeffer panel with M3 thread / 3,5mm deep). IÂ´ll try that the next days. GIMP managed to convert it - here's the schematic in one image file. Also includes some 'do not connect flags' that I had omitted. 5mm leds fit too tight in livid rubber pad holes (I tested on my just finished arduinome), better to plan for 3mm leds. I was already planning to use 3mm LEDs. 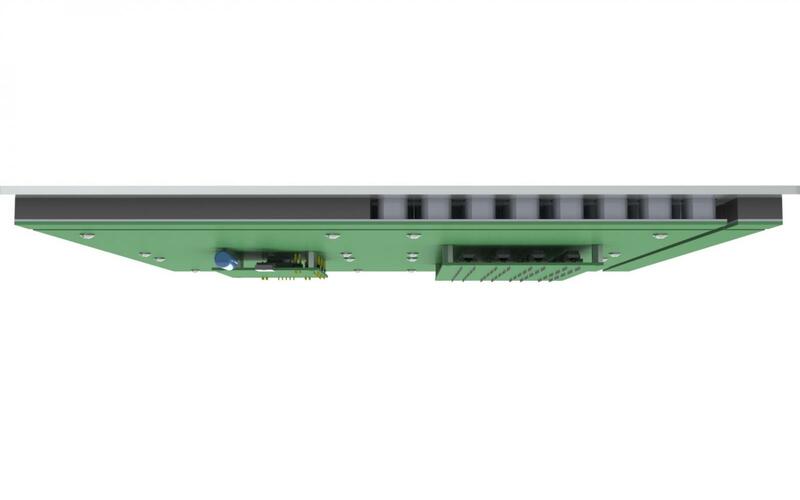 It also would require some slight twisting of the leads so the lead spacing is smaller, 3mm bicolor LEDs typically have 0.1" spacing, meaning the outer leads are 0.2" apart, plus width of leads, this is too close to the inner edge of the conductive rubber ring. My current LED footprint has 0.0625" spacing, so outer leads are 0.125" apart. Pads are 36mil x 56mil round. No conflict with plated contacts on PCB which has inner diameter of 0.2" (same as conductive rubber ring on the button pad). While I haven't proved this yet, I think you would need some ultrabright waterclear bicolor 3mm LEDs, like found on eBay... and not the weak diffused kind like you find at Mouser (and what I used on my MB-SEQ). SMD LEDs might work but it's too hard to find them with good brightness and low cost, plus they might not illuminate the cap as well as a 3mm LED which is more in the middle of the hole. 3mm LEDs are cheap and available from many suppliers so that's good. It's bad enough to lock into one design/supplier of the rubber button pads. As far as I can see it's common cathode, bright and with clear lens. I'm becoming less convinced about the benefits of the livid pads, at least for my own use. So, people who have the livid pads: do they feel GOOD?